Choose to be Happy: charlies first birthday! we celebrated charlie’s first birthday last night! us human people really got into it. and not just this human i might add! 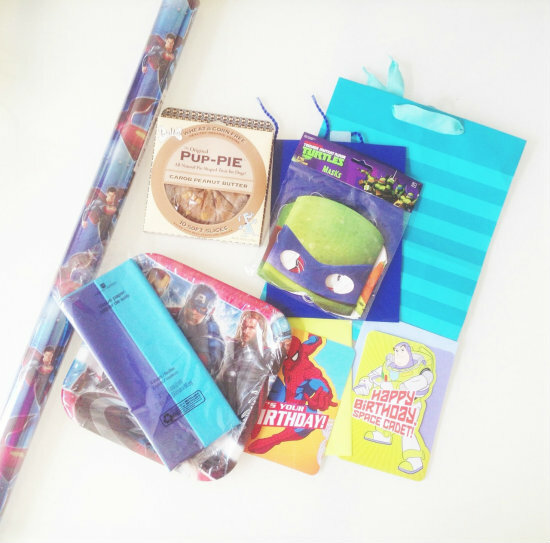 we figured superhero boy stuff is what charlie would have picked out if he could do just that, so we did it for him! and we had a lot of fun with it. a lot, a lot. 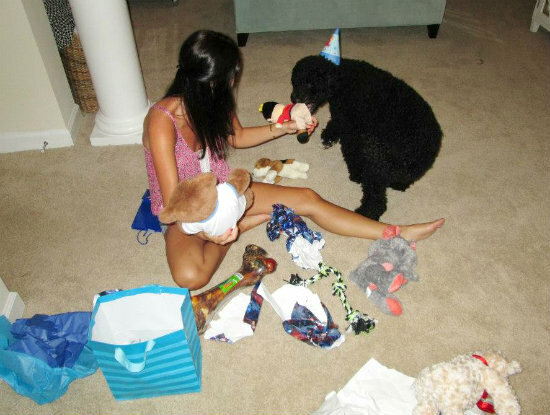 charlie was especially happy and maybe in that puppy mind of his he understands a little bit why this girl human of his loves birthdays so very much [the celebrating them with your favorite people part]. stone gave charlie the biggest bone his one year old eyes have ever laid on and oh he was loving it. 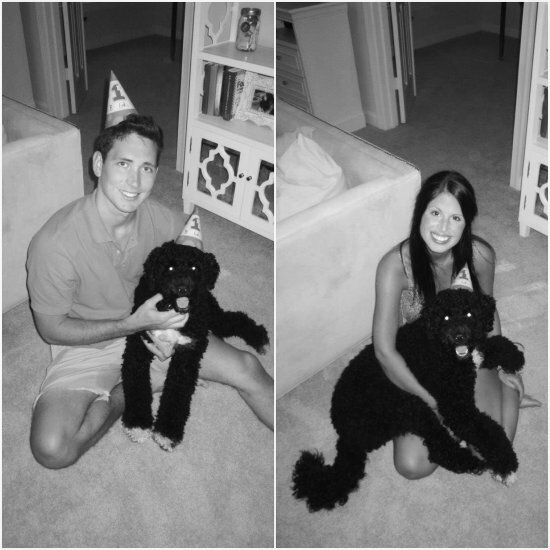 so much so he kept his party hat on the entire time he played and didn't even notice his human peeps eating din. so that bone was a good one and will probably last him until the end of time. [although currently, its hanging out in our storage closet, free from our clean, clean carpet until we can supervise again!] 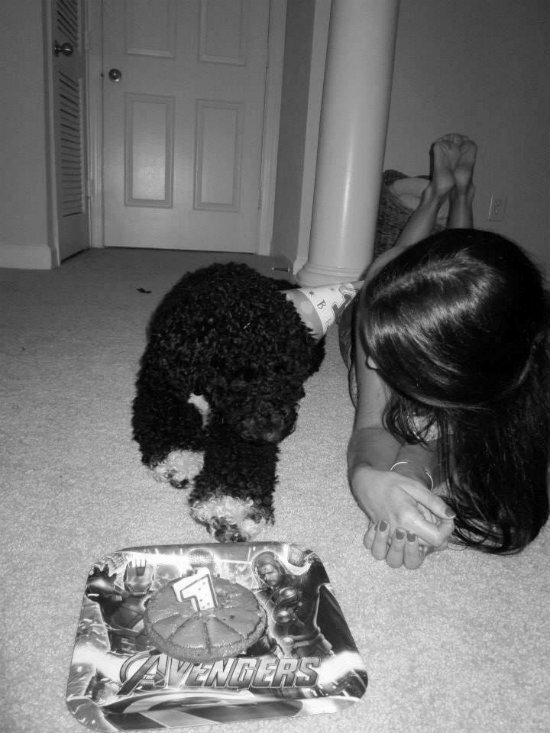 so that was that, we sang happy b-day, puppy ate his puppy cake and the b-day slowly came to a close! happy one year charlay! This is SO cute!! We do this at Christmas with our pets. They get their stockings and get SO excited when we open their gifts!! Happy Birthday Charlie! I love that you went all out for it! That dog is AMAZING. I just had a dog who looks exactly like Charlie at my house the other day and now I am determined to make one of those mine!! !